Yes, add $.30 ea. One or two lines; restrictions apply. Yes, 1,000 calendar min., additional fees apply. Yes, add $15 per additional dropship location. 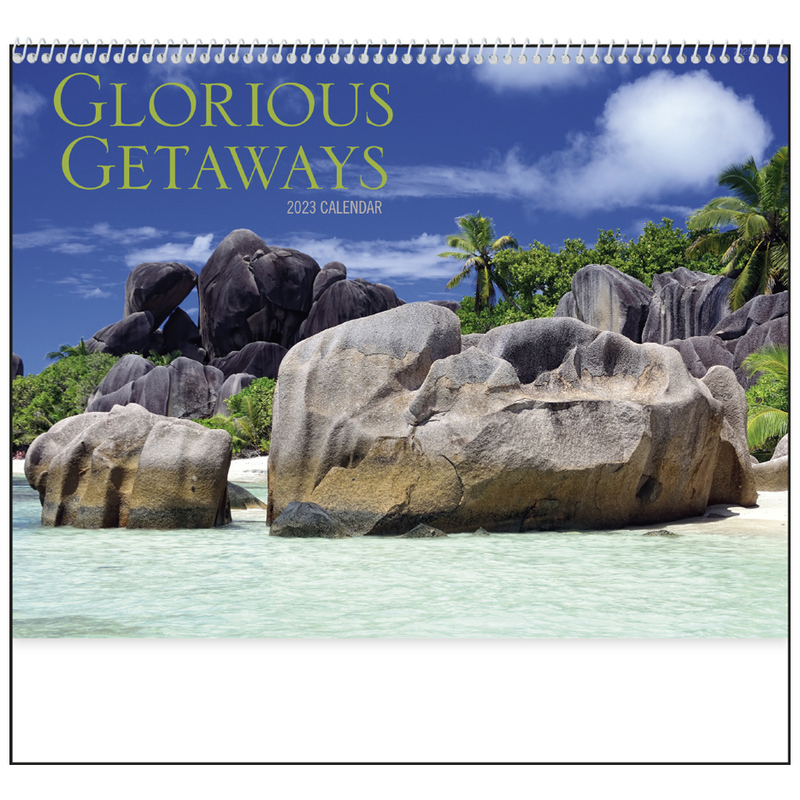 FREE CALENDAR WAREHOUSING! Release dates: 09/01, 10/01, 11/01 & 12/01. $75 storage removal fee applies (if requested). Standard imprint, basic setup, PDF proof and Free Ground Shipping (US48; 1-Commercial Location). Not included. Envelope style 'A' available. Basic custom imprint setup & PDF proof included! 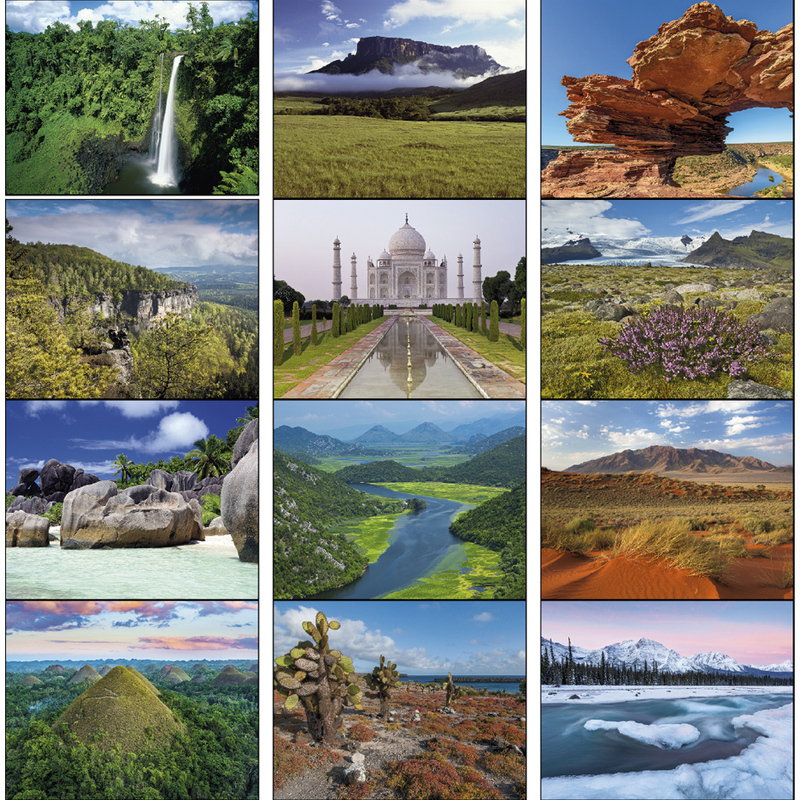 13-month wall calendar features scenic photos of vacation destinations from around the world. 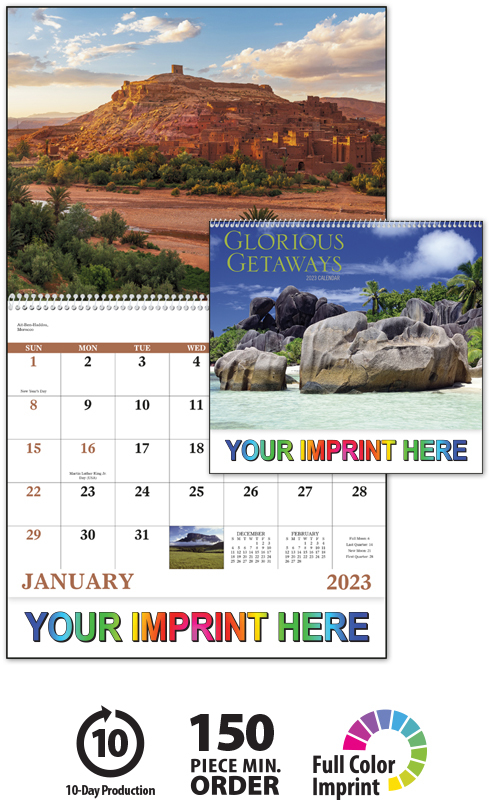 This highquality personalized vacation destination calendar will proudly display your message for the entire year! 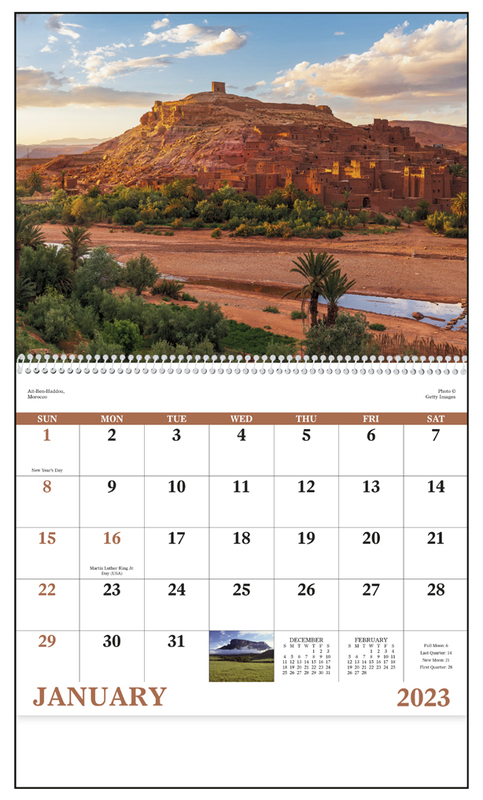 FREE CALENDAR AD SETUP! Includes basic imprint setup using your supplied text, graphics and layout instructions. FREE 2-4 Day Rush; black ink. Approval required.